It was raining during the day but I went out at twilight for a long walk and run. When I came back I did 6 pull ups and worked out with my dumbbells. Speaking of twilight, the actress who played Isabella (Bella) Swan in the Twilight movies, Kristen Stewart, turned 29 today! Happy Birthday! 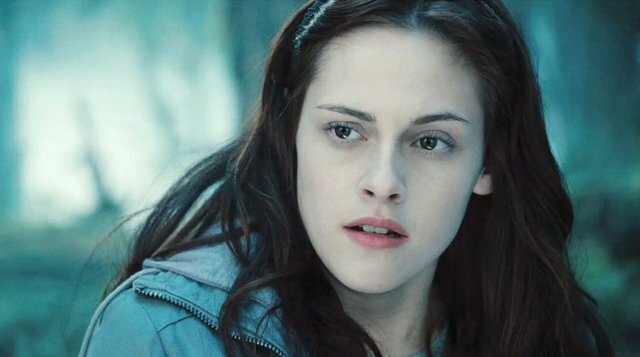 This picture (source) is a screen capture of Bella/Kristen from one of the Twilight movies. I was a pretty big Twilight fan. I read all the books and saw all the movies. Sometimes I think of myself as Edward Cullen, the vampire boyfriend. Also today, BEOS launched and it's been fun getting free tokens. #BEOS sits between #Bitshares and #EOS and I'm pretty interested in whatever @stan or @dan Larimer is working on! I'm also getting ready for the @actifit token launch this Friday on steem-engine. I think it will be good to purchase those tokens! Wow 12k!! Way to go buddy! And I think AFIT tokens is going to be huge!!! Twilight huh? My vampire interest runs more toward Anne Rice and Lestat. I liked True Blood for the first few seasons but they should have just stopped, it got kind of boring in the final seasons. How are you getting free BEOS? Go @Actifit team! Always building a better and better platform. Twilight was flawed and I've written about that in the past. But it's main interest to me is to understand what makes it so popular; what about it resonates with so many people. If you have #bitshares then you can stake them in a new #BEOS wallet and get free BEOS every hour for 89 days. Check the #Beos tag for some posts about it. Nice post with very good count of 12k. Happy birthday to Bella. I Happy birthday to Bella nice count. You have accordingly been rewarded 73.75 AFIT tokens for your effort in reaching 12246 activity, as well as your user rank and report quality! You also received an 1.56% upvote via @actifit account.